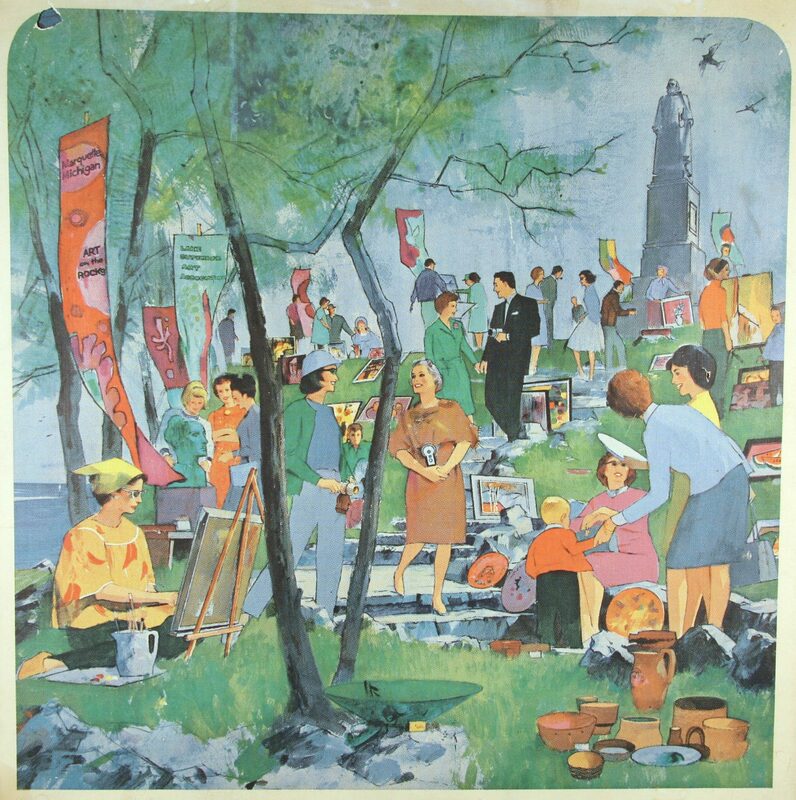 Art on the Rocks began in 1959 with 35 artists and craftsman exhibiting their work on the rocky hillside site of the Father Marquette statue. It was an open show chaired by Anita E. Meyland who was the originator of the title, “Art on the Rocks”. Work was then chiefly painting, sculpture, and ceramics. 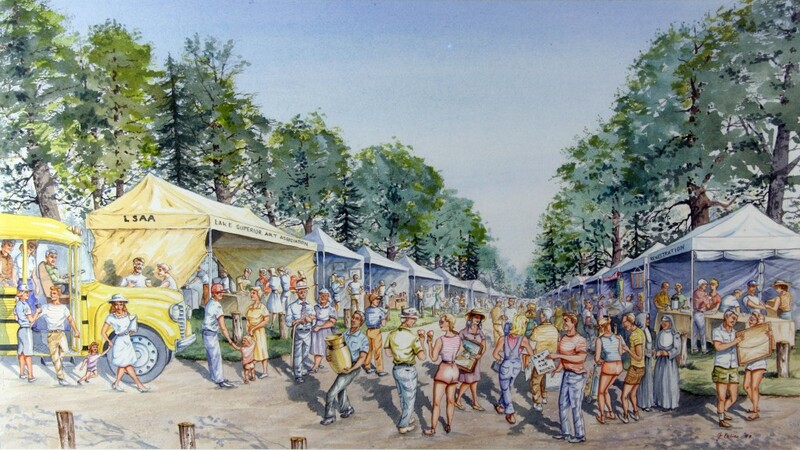 After five years the list of artists grew to such a number that the site would not accommodate the exhibit, so it was moved to Presque Isle Park. The show was held at Presque Isle for a 46 year stretch, and now currently takes place at the beautiful, centrally located Mattson Lower Harbor Park on Lake Superior. National recognition was gained in 1964 when TIME magazine featured Art on the Rocks in a full page commercial ad showing an artist’s painting of the unique show carrying the message, “A good place to spend the summer, Marquette, Michigan”. Art on the Rocks is always held during the last weekend in July, earning it the stature of THE summer art event. Art on the Rocks at Presque Isle Park by John Krbec, 1990.